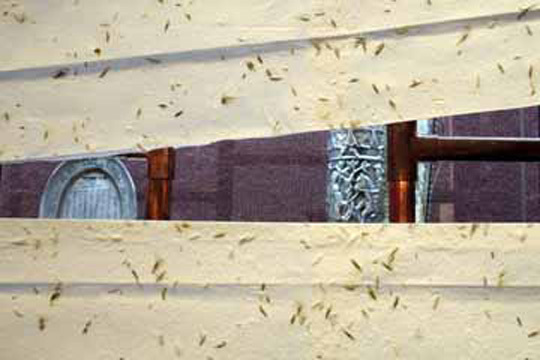 An interactive, community-based, site-specific installation made out of “walls” of hand made paper embedded with grass seeds. 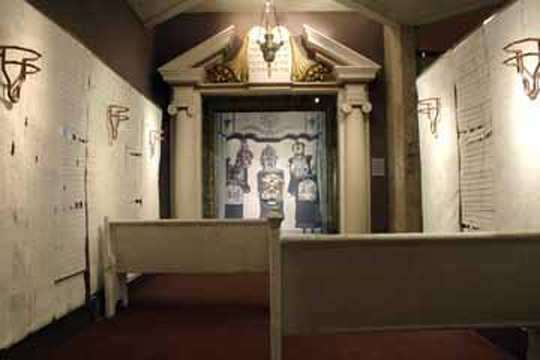 These walls created an abstract interpretation of the historic sanctuary of Temple Judea that used to exist in the Oak Lane section of Philadelphia. 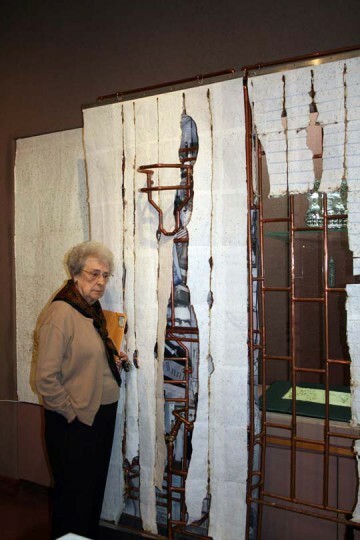 The paper hangs over an intricate copper support structure that symbolizes the complex infrastructure underlining all communities. 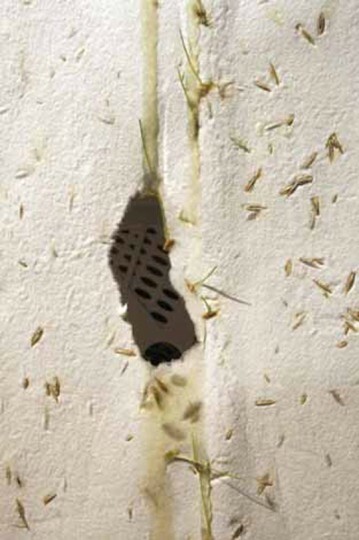 A drip irrigation system methodically trickled down the surface of the paper, causing the seeds to sprout. 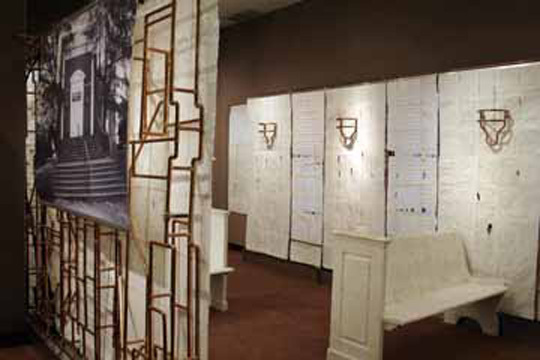 Within the walls of copper were planted audio speakers attached to motion sensors that, when passed, played memoirs recorded from various community members bringing to life the old saying “If these walls could talk, imagine the stories they could tell.” During the course of the exhibition, as the grass sprouted, the constant watering wore down the paper walls to reveal the copper structure as well as historic photographs, ephemera and Judaica from the Temple Judea Museum Collection.